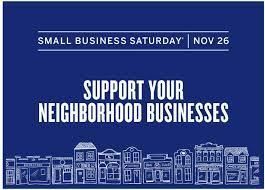 Today is Small Business Saturday! Support your local business by shopping with them! We will be open until 5 pm today, we would love to see you and help with some of your holiday shopping!